I've split my binders into two parts - cookies and craft in one, and plans and organising in the other. 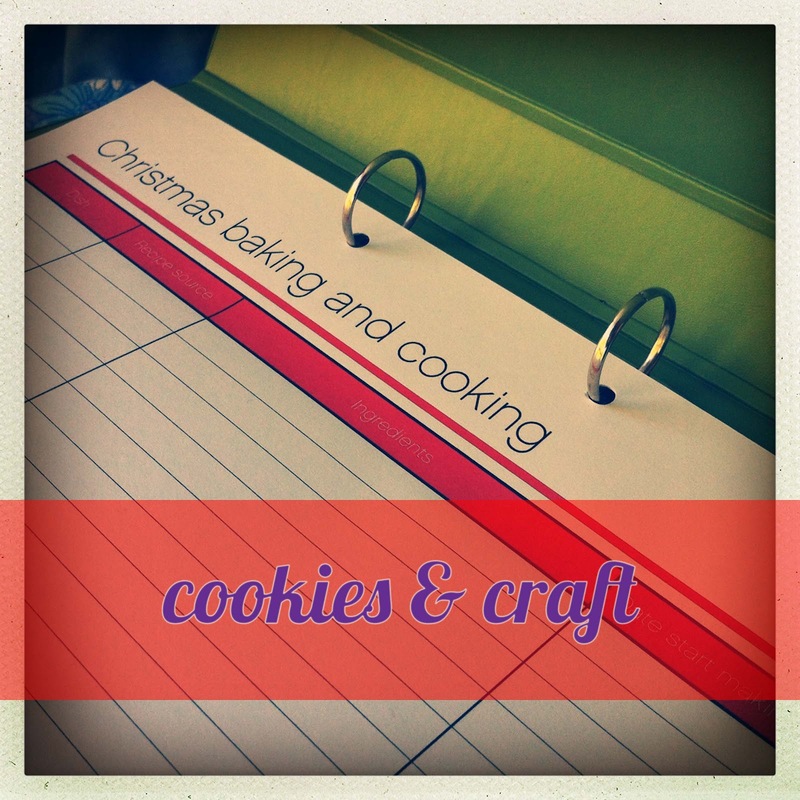 I tend to focus more on my baking, Christmas cookie and craft when collecting ideas, and have found that I end up with a huge pile bursting out of the binder. I also made one other big change this year - I purchased the Christmas Planner from The Organised Housewife. 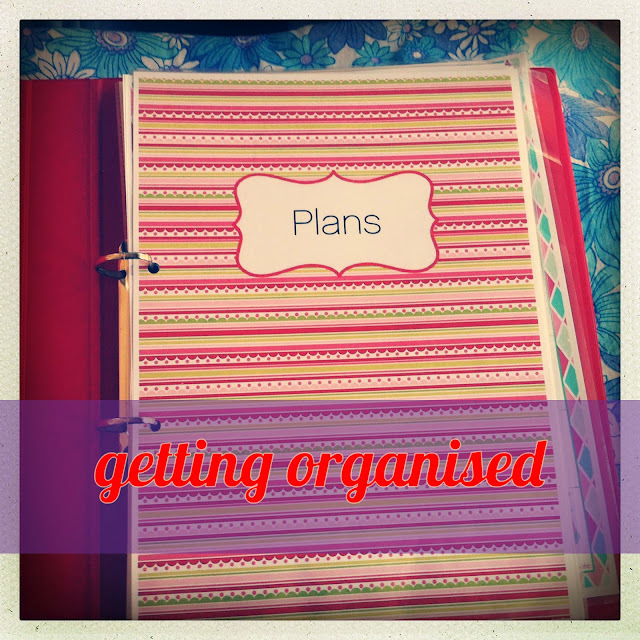 With calendars, checklists, bright colours, and all the sections I like to use, it's perfect for me, and I've got one to give away now! To be in the running to win one printable PDF of the Christmas planner, tell me if you will be gifting handmade gifts this year. competition opens at publication of post, closes at 5pm Friday September 21st. 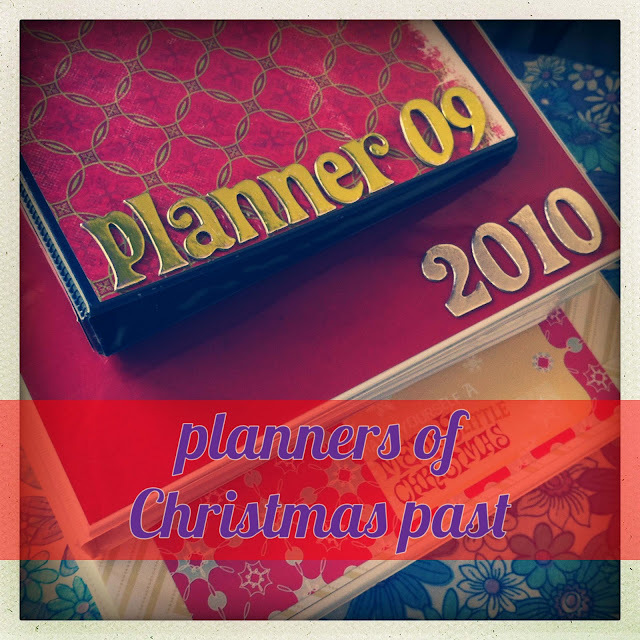 Disclaimer: I purchased the Christmas Planner from The Organised Housewife. 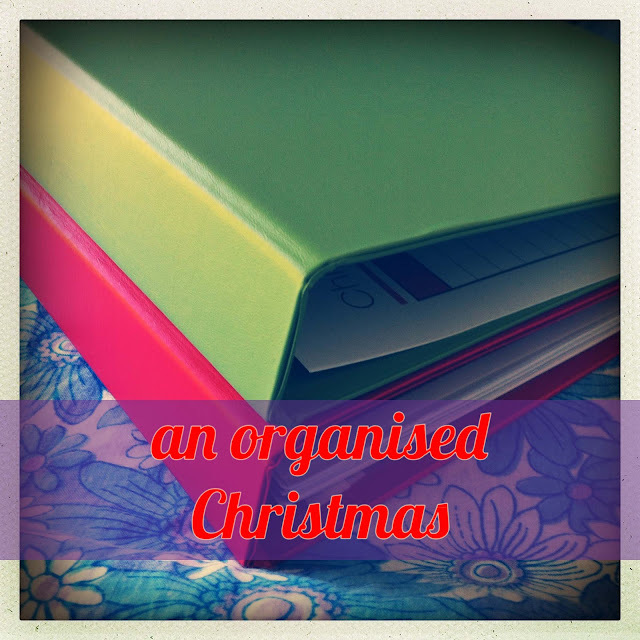 I'm going to share more ways I use my binder to keep me organised for Christmas, including keeping ideas in one place, and inspiration at my fingertips. I am certainly giving handmade gifts this year. Some scarves, slouchy hats (yeah I know it's summer here), toys on the go bags (yep I'm going to sew), OTP desk sets just to name some. I always give at least some handmade gifts. This year I will be making special cross stitch tree ornaments for the two newest members of my extended family - a very cute pair of boy twins. A few years ago I decided to make individual ornaments for every member of our family and now I make them for the new family members - either spouses or kids. What an awesome idea. I will be getting my kidlets to make all the wrap this year for presents. Brown paper with red green gold and silver finger painting. I'm hoping to make handmade gifts too. I'm going to use TOH planner too. Yes - my first year of handmade gifts. 11 sew fearless pajama eaters (4 already done). 12 teachers gifts - handbags (6 done), 2 melly and me little ninjas, 1 melly and me Dawn, 3 super hero capes and three messenger bags. Also a few Christmas stockings to do for a charity. Wonder if I will get it all done. I am planning on handmade this year but not sure if it will pan out - homade Jams and compots for the great grandparents, cool scrapbooks of the family for the grandparents and some special cushions or pyjama bags for the nieces and nephews. Cupcake or brownie "sand art" for the brothers and sisters (in laws included) to do with their kids, and if they have no kids then they will get something for around the house.......let's hope it all comes together for me! "With calendars, checklists, bright colours, and all the sections I like to use, " well, that right there had me wanting it :) I am doing some handmades this year, definitely making poetry scarves. I'm so lucky that my Christmas is easy to plan nowadays... drinkies n nibbles at mine Christmas Eve afternoon, all to my sister for the big day, then all to my mum on Boxing Day... no real cooking, just eating for me!! I always make presents for everyone for Christmas, we have a £10 per person limit so we have to be inventive! The children invariably get most of the bought pressies they hope for (or need) but the adults who insist on nothing get homemade produce. This year it's going to be green mint jelly and red roasted red capsicum jelly packs! I make a lot of food gifts at Holiday Season time. White Christmas (with cranberries and pistachios), Prunes in Port, Rich Fruit cakes (with lots of rum! ), and Brandy Sauce are favourite gifts to give. Friends and family appreciate the effort of a handmade gift made with love. the kids love to make handmade cards for their family members, and we also do up little bags of biscuits or rum balls as presents for their great grandparents.